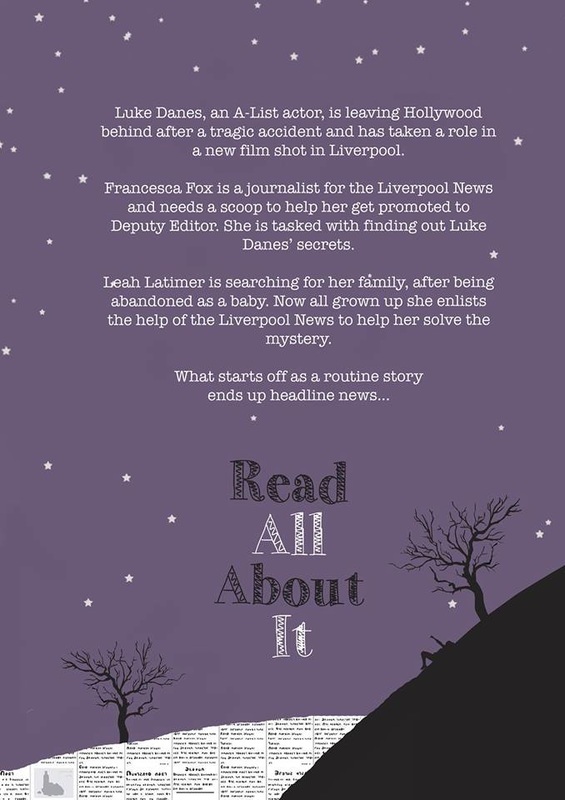 Meet Liverpool journalist Francesca Fox who is just about to embark on the biggest story of her life, which might just change her own. Set in my home town of Liverpool this story was inspired by the Kelly Clarkson song 'Dark Side' - especially the line 'Everyone has a dark side, can you love me, can you love mine?' It got me thinking about love and how things aren't always straight forward, the things we keep hidden from others and about the baggage people carry around with them. There is also a strong link with the Titanic in this book, it's something I've always been interested in and the beautiful White Star building in Liverpool was a great place to set a lot of the story and also for my Hollywood actor, Luke Danes to stay in. There are some slightly darker themes in this book than any of my others and a particular subject close to my heart, but I wont spoil that for you - however, there are still my usual one liners in there too! Thanks to Louise Taylor for my amazing front and back covers - I love them!